Extreme Intimo, a leading Serbian underwear and fashion brand, opened its remodeled store in Tivat, Montenegro, on the 23rd of November. STIRIXIS Group, an internationally recognized strategy-through-execution consultancy firm, announced that it has won a “Five Star Award” for the design of Emerald Medical Center at the International Property Awards in London. Fashion Company, a leading fashion retailer in the Balkan region, has introduced the Amsterdam-based men’s fashion brand Dstrezzed to its ever-growing portfolio of labels. KIK,Textilien und Non-Food GmbH (KIK), German's largest discount fashion and home goods chain, opened its new store within B1 Retail Park at no. 40A Calea Moldovei Street in Bistrita, Romania, on the 28th of November. Afrodite Mode Collection, a Serbian fashion retailer, opened its new store within Stadion Shopping Center in Belgrade on the 23rd of November. New Yorker, a German fashion retailer, opened its new store within ParkLake shopping center on no. 4 Liviu Rebreanu Street in Bucharest, Romania, on the 22nd of November. Fashion Company, a leading fashion retailer in the Balkan region, opened its redesigned Fashion & Friends outlet store in Dugopolje, located at no. 13 Svetog Leopolda Mandića Street, Croatia, on the 27th of November. Intersport, an international multi-brand sports retailer, is continuing to expand its presence on the Serbian market with the opening of a new store in Subotica, which took place on the 23rd of November. The unit is located at no. 2 Dimitrija Tucovića Street and is Intersport's 21st retail unit in Serbia. Lisca, a leading Slovenian lingerie retailer, opened its new store within Promenada Novi Sad shopping center on the 15th of November. With the new opening, the company increased its retail network in Serbia to a total of 25 units. JYSK, one of the world’s leading furniture and home decor retailers, announced that it has achieved record results in its financial year 2017 - 2018, reporting a turnover of 3.577 billion EUR. 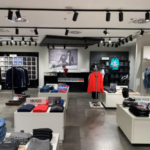 Fashion Company, a leading fashion retailer in the Balkan region, is continuing to grow its presence in Romania with the second Replay store opening in ParkLake shopping center in Titan Park, Bucharest. 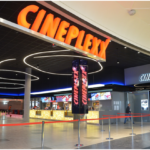 Cineplexx, the largest cinema operator in the South East Europe region, celebrated the opening of its first cinema in Novi Sad, located within Promenada shopping center, on the 15th of November. Intersport, an international multi-brand sports retailer, opened its redesigned store in Mall of Montenegro, located on no. 74 Save Kovačevića Boulevard in Podgorica, on the 19th of November. JYSK, one of the world’s leading furniture and home decor retailers, opened its new store in the city of Romania, located at no. 3-5 Mihai Viteazul Street, on the 22nd of November. With the new opening, the chain increased its retail network in Romania to a total of 63 units.